TOO MUCH YOGURT, IS IT BAD FOR YOU? Yogurt, the longtime staple of calorie-counters everywhere, is experiencing a boom right now thanks to the Greek yogurt craze. Sales of the thicker, tarter yogurt have doubled every year for the past three years, and it seems as though you see it everywhere you turn: Think splashy Olympics sponsorships, John Stamos peddling it in fancy ad campaigns, and even Ben & Jerry’s offers a frozen Greek yogurt variety. 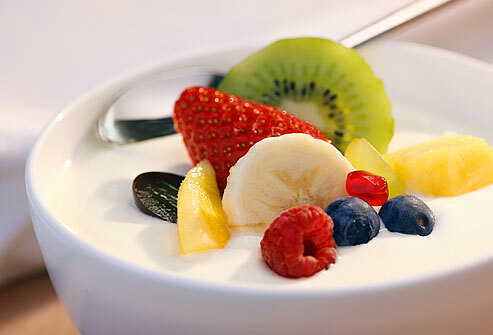 Categories: gut flora, yogurt | Tags: eating healthy, nutrition, yogurt | Permalink.